Jamie is a passionate educator and it shines through when you speak with him. Born in Ottawa, he got his start guiding at Camp Wanipitei and got his first taste of whitewater there. He’s worked as a guide with Black Feather and with the National Outdoor Leadership School (NOLS). Jamie can be seen floating in canoes, kayaks, and rafts—but he is happiest in his little OC-1, in which he paddles some big whitewater. 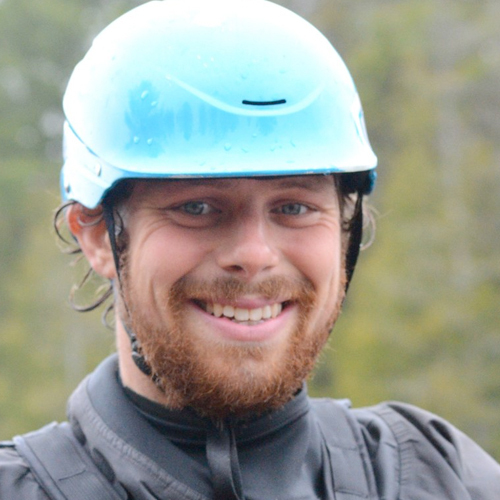 Jamie is an instructor trainer for our whitewater rescue courses. He helped shape our course curriculum and also helped create many of our current course materials. He loves to share his knowledge on whitewater and expeditions. Read his article on Northern (‘Rodeo’) Canoe Rescues.